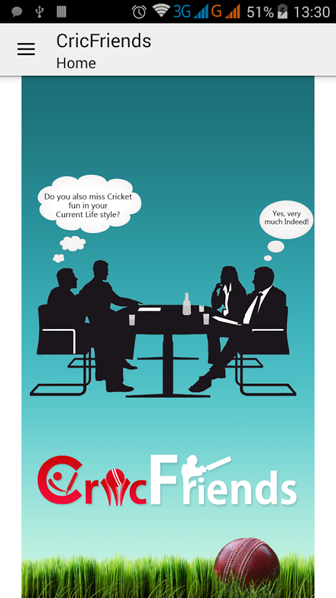 CricFriends brings you and your like-minded neighbors to build a team and have great time. It is designed to get to know new people and share your passion. Highly recommended. Are you a die-hard cricket fan who is looking for a way to enjoy the game more? Or you are tired of the virtual mobile cricket games and want to live the experience much better? Well, the CricFriends app is exactly what you want. In this review, we will take you through the exciting features of the CricFriends app and you will see how much you are missing. By the need of this read you will be able to get the app from the store and join the rest of cricket fans in enjoying the game in a whole new level. 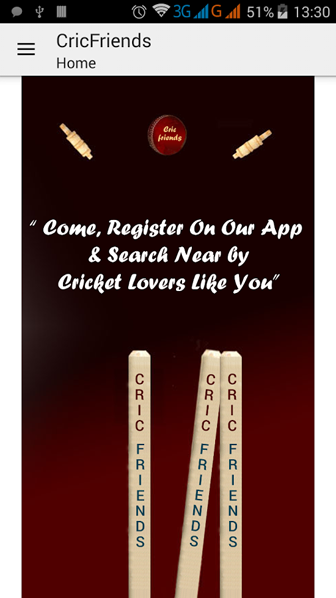 CricFriends app allows you to search and locate your fellow cricket enthusiast that could be around you. This means that you will be able to find them and organize a hook up to enjoy the game. You can meet and not just talk about the game but also be able to organize for an actual cricket game among yourselves! Isn’t this just exciting?! You get to have the real experience of playing the game and not just the usual watching that you are used to. 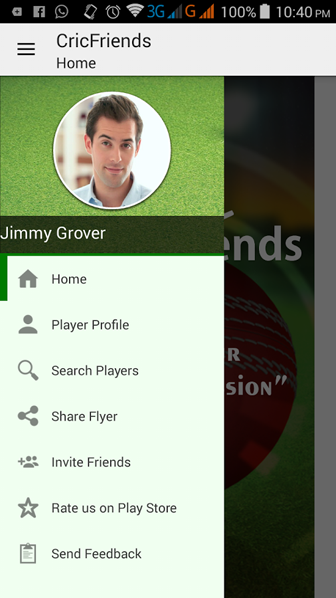 CricFriends app allows you to easily log in with your Facebook or Google+ account. After you have logged in you can now be able to create your profile. You can include your names location favorite cricket team and other similar details. You then go ahead and save the profile and just like that it becomes visible to other cricket fans. The optimized search engine of CricFriends app will enable you to be able to see a lot of cricket enthusiast from those nearest to you to those who are reasonably far. You can then go ahead to start a conversation about the beautiful game and then go ahead to exchange details on how you can meet up and organize a game. 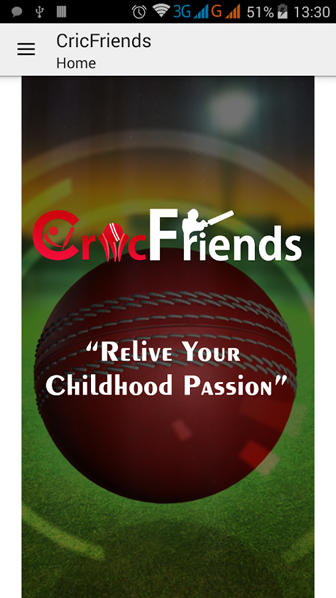 CricFriends app will allow you to share your flyer image round the many social media sites to help you get more friends for the game. You can share this auto generated image on Twitter, Facebook, WhatsApp and Hike among many other sites. You can also invite your social media friends over to join CricFriends app so that you can create a bigger following for the game and more people participating in your games. Don’t just watch the game from your couch and admire the play. You have the chance to actually live the experience of playing cricket with this CricFriends app. Therefore, go ahead right now and download this app and we can assure that you will be very impressed by the whole experience it will give you.